We live in a mobile-first, cloud-first world and need to be able to take action anytime-anywhere. Reading the Microsoft Office blog had tempted me to write about Sway, which is being introduced as an additional family member to the Office suite. This app not only gives you simple and smart ways to represent your ideas, but it also makes your life easier when working with a different range of devices whether they're mobile phones, tablet, laptop or your desktop. As mentioned by Microsoft on Sway from the Office Team, it comes from the people's need for simple, ready to use solution to accomplish their work. There are a number of content creation tools out there and most of them have become powerful platforms to create and publish content. Needless to say, the first one that probably came to your mind was PowerPoint. However, as user behaviors are changing, there is still a gap that needs to be filled. Needs around content were re-evaluated– flexible layouts which should be fit to any device, well-designed styles to make content easier to consume and feel rich. Most importantly, it had to be quick, easy, and frictionless to use. As a result, Microsoft has introduced Sway to help you put content on a page and help you tell a story. The engine used allows you to take simple content and format it as well as animate it with just a few clicks. It can also make it interactive and easily consumable from anywhere. But before we dive in any further, let's take a look at the history of Sway. Sway was born on the 1st of October 2014 and helped make your thoughts live by quickly exploring, visualizing, and sharing your ideas to the world. Sway transforms simple words into an elegant web-based presentation. In Microsoft's words, your ideas have no borders, edges, page breaks, cells or slides. Your mind is a continuous canvas, and Sway brings this canvas to life. What do you need? – Smart: Just a browser! How can you authenticate? – Simple: Just a Microsoft Account or your Office 365 work account! What features have been provided? Makes your thoughts live and fits on any device. Drag and drop content from cloud storage. Easy Layouts and quick sharing options. Getting the content quickly on Sway. Adding more sharing and style options. Providing Sway in multiple languages. Broadening Business connectivity like OneDrive for Business/SharePoint. Integrating to the Office Graph. After a while, people had started using Sway for more personal scenarios, not without any lack of creativity. You can easily combine your text and pictures. You can modify an existing Sway while on the go. You can add voice dictation to easily add text while on the go. You can change the layout or theme of the Sway. Rolling out the mobile app in more countries. Improving Mobile App Experience before growing the market audience. The Sway team introduced "Bing Image Search" features to convey your ideas using a variety of multimedia. This feature was a response to many requests from users looking to search for Creative Commons licensed images directly from the Internet. Sway allows us to add the content from a variety of cloud storage locations like OneDrive, Facebook, Youtube, Twitter,... etc by simply dragging and dropping the images. And to continue to add value to Sway, they added "Add Source" where users could suggest new locations for future releases. Additionally, Sway suggests search terms related to the Storyline you are working on. For example, if you’re writing about 'Microsoft Office 365' , but you’re working in a section about features, Sway will recommend searches to related topics such as flexibility, ROI, low upfront costs, etc —even if you haven't mentioned them. Sway is there to help you write the story. Ability to undo and redo actions. Bullets and numbering to text toolbar. Edit a paragraph of text from the canvas. Drag a section to reorder the content. Import a PDF content to Sway. Improvements to color palette algorithms. Started a forum on User Voice. Offline support for creating Sways without Internet connection. Support for adding background images for titles and section headers. Updated design to support iPhone 6 and iPhone 6 Plus devices. By introducing these, Sway had become not only an intelligent digital design assistant, but a content gathering assistant as well. Adding more options in the content source dropdown. More color palette options when you choose the Curated option. Making more improvements based on User Voice feedback. After another few rounds of updates and improvements, the mobile app for iOS was now ready to be released in all countries. As users started using SWAYs to present their ideas, requirements got increased to add the content from the supported third parties like videos, images, audio clips, maps, charts and documents. Continue to make regular improvements to Sway’s mobile experience. Continue to roll out more updates on a regular basis. Sway now sports a familiar interface to join the Office family. With the Insert, Cards and Design menus appearing at the top made it even more approachable to Office users finally ready to discover what it was all about. Insert tab helps to quickly bring your multimedia content from a variety of resources. Cards tab opens the Card gallery, where you can get all of the types of Cards and add them into your content. Using Design tab, you can choose the layout and style for your Sway presentation. Additionally, When you select “customize” on a style, Sway lets you choose the font pair as well as color palette. And the Remix! Tab is something to spice it up. It'll completely automate the style and layouts for you to best fit the content. Don't worry, you don't have to accept it if you don't like it. Adding video from the user's camera phone. Creating groups and stacks of photos. Adding bullets and numbering to text. Creating and applying a hyperlink to text. Highlighting more on words or sentences. Automatically straightening and cropping the Pictures of documents. Improving performance specifically on lower network connectivity. Continue to work hard improving Sway and Sway for iPhone based on User Voice input. Adding images from OneNote which has been added into insert tab dropdown menu. Introducing more third-party resources to embed in Sway that includes Office Mix, Infogr.am, Mixcloud, and even Sway itself. Expanding the suggested search that includes YouTube videos and tweets. Adding new interactive photo options such as "comparison" to visually compare two images, and "Slideshow" to present multiple images as carousel or slider with thumbnails underneath. Enlarging sharing option on the "Share" button such as Public, People with the link, and just me to control the level of sharing a Sway. 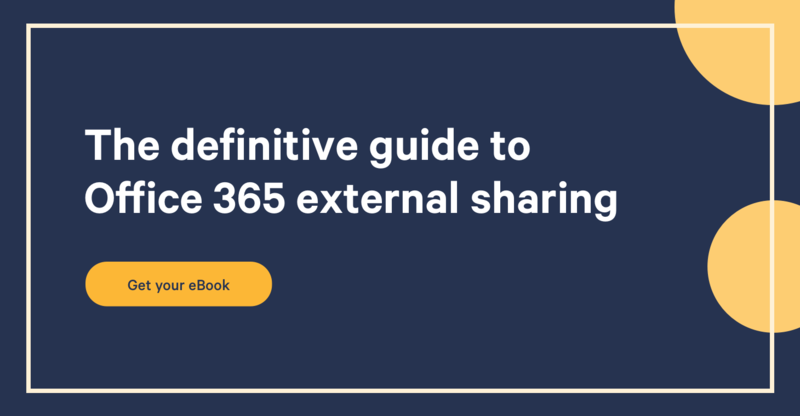 We're already in the collaborative space when we're talking about Office, Office 365 or SharePoint. Sway has now officially joined the ranks of the suite to work with others. Inviting others to your Sway to edit by sharing it with them. Keeping a track of who has access to shared Sway stories. Revoking editing permissions and removing the authors. Making a copy of a story. A great Sway example, click here to have a look. Using focus points to consider the important part of the images and ensuring that they are included in cropping the images as well. Please click here for further information. Refining a text content such as italics, soft glows, drop shadows, or saturation using "Accnet" option. Embedding the word, PowerPoint, excel and pdf files from OneDrive or your PC. Updating Sway for iPhone v1.3 that includes improved sign in experience, improved accessibility and bug fixes. Fine tuning the current collaboration experience and prioritizing all the different potential improvements. By default, Sway will stay private for your organization. Make sharing organizational content to consumer social network more intentional. Office 365 administrators can control the Sway services and experience. Sway will begin rolling out more languages this quarter. Sway will be available to customers with almost all Office 365 commercial plans. Sway is an absolutely fantastic app to create your story or presentation in minutes and have it work across any devices. And I consider this as my presentation hub even now (Discover the one I created to illustrate this article by clicking here) .They have been improving and expanding their set of capabilities to provide a more intuitive experience.